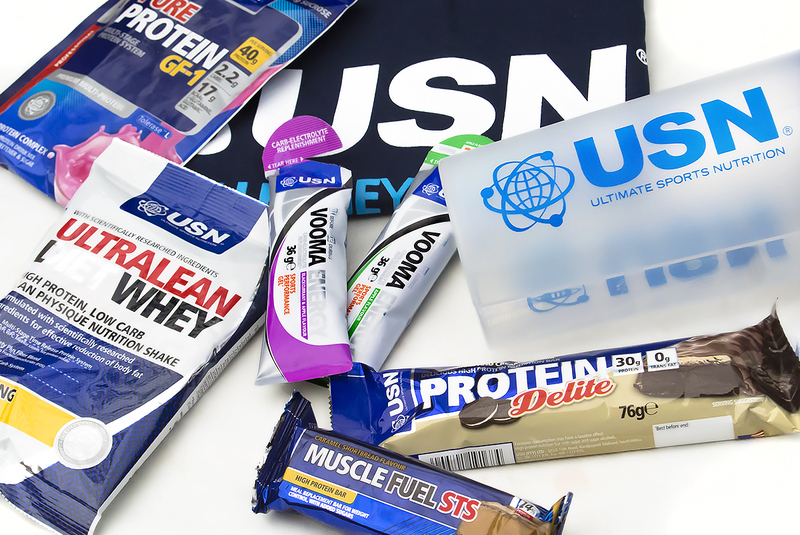 If you’re starting out in fitness or are even an old pro, there’s no way on this earth that USN will have passed you by one way or another. They’re synonymous with fitness, lifting and training; known the industry over as the ‘posh’ protein and have faultless and well tested formulas. I’ve been testing out a selection of their products over the last couple of weeks and it’s time to give the lowdown. If you want to know and see more about my continuing transformation, check out my journey so far. The devil in a squeezy tube. I thought I’d get this one out the way as the rest is comparatively positive. These are designed for duration sports (cross country running, cycling, etc) to deliver a quick surge of energy. The problem is, they taste like crap. Seriously, I could hardly get it down; the gel consistency is repugnant and the ‘apple’ flavour seems to have been created by someone who has only ever seen an apple and never actually tasted one. Finally I didn’t notice any particular surge of energy or prolonged endurance during weight training. Sweet Jesus, more, give me more of these; give me all of them! Usually protein foods, particularly ones that are supposed to be ‘treats’, taste like the wood IKEA furniture is made out of; I used to bite furniture as a child so I have a good frame of reference for this. It’s a big bar and they’re unsuspectingly filling. I had to take a break halfway through eating one but came back pretty quickly due to the taste. There’s 310kcal per bar with 30g of protein, 11g of fat (of which 8g saturates) and 24g of carbohydrate. It’s essentially a small meal replacement and trust me when I tell you that after finishing it, you won’t feel cheated out of food but rather quite full. With 14.4g of protein, 25.8g of carbohydrate and 2.1g of fibre; these bars are great sources of pre-workout nutrition and when people are training and not seeing any size increases, one of the major causes can be down to lack of sufficient carbohydrates. The flavour is pretty good; not as good as the Protein Delite, but tasty all the same. I wouldn’t have thought Caramel Shortbread without being prompted but it’s vanillary and relatively sweet. Great for throughout the day as a snack and a much better alternative with great nutritional benefits as opposed to something such as a Twirl or Mars Bar. The flavours and consistencies of the two proteins I tried out were very similar. They’re very, very thick and I suggest using a touch more water than suggested. Flavour-wise, both were strawberry and relatively true to life; pretty flavoursome and not sickly/insipid. 190kcal per serving with 35g of carbohydrate and only 3.6g of carbohydrate and 3.2g of fat, it’s pretty lean. There’s also fat burners (including L-Carnitine) as well as good sources of calcium, fibre, Riboflavin (reduces stress and fatigue) and Vitamin B6 (immune boosters). 203kcal per serving with 40g of protein, 2.2g of carbs and 2.8 of fat, this is as simple as it gets. Manufactured with milk and high-quality soy, Pure Protein GF-1 is a good, solid source of essential and nonessential amino acids. This article first appeared on MANFACE written by Thom Watson. It was published on Wednesday 26th November 2014 and was last updated on Monday 3rd April 2017 at 1:46pm. It's categorised under Fitface & Fitness, USN where you'll find more related content. les modeles improves des bols est plus plus encombrants que simples a un bol. far. But, what concerning the bottom line? Are you certain in regards to the source?